Do you still remember the feeling of unfolding a story in a fairytale, when you eagerly anticipate what will happen next when you turn the page? Indonesian publisher Toge Productions, along with developer Mojiken Studio brings you of She and The Light Bearer, a game that lets you experience that whimsical feeling with just a click. The game is now available for PC and Mac via Steam. 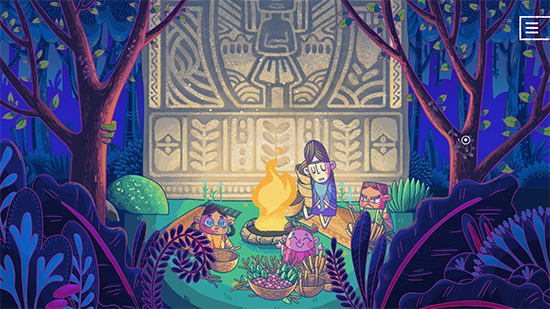 She and the Light Bearer is a blend of point-and-click adventure gameplay and a music album that utilises hand-drawn art, poetry, dialogue, and an instrumental acoustic soundtrack to offer a relaxing foray into a mystical realm of wonder. The aesthetic came under the influence of the creator herself.